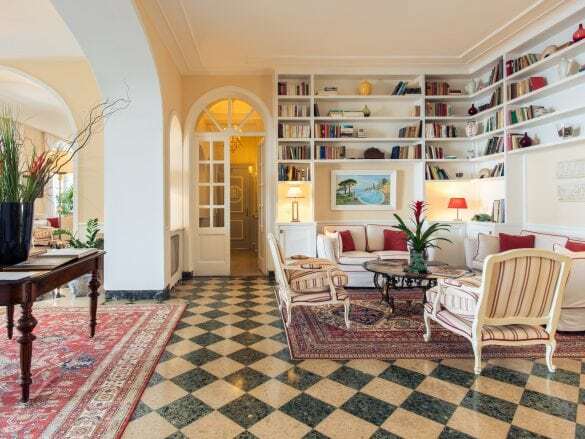 A former home of a Russian prince (he put the famous statue of Caesar on the terrace), Hotel Caesar Augustus was purchased by the Signorini family in 1940. Today, the hotel is still family owned and operated, and it truly makes such a difference. 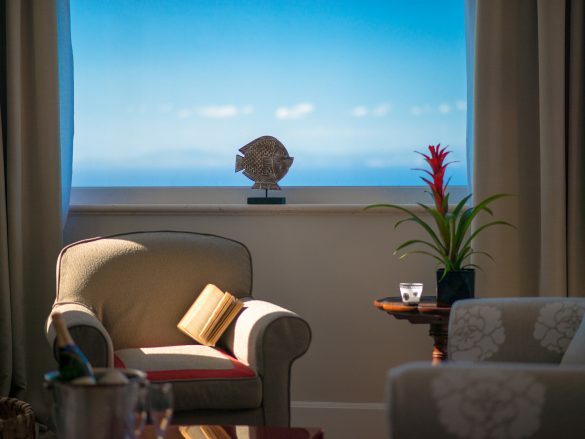 From the moment you are greeted by the owners Paolo and Francesco Signorini, you sense the warm, genuine service that is consistent throughout your stay. And with only 56 rooms and suites, the service is personal and the hotel never feels overcrowded. The views. 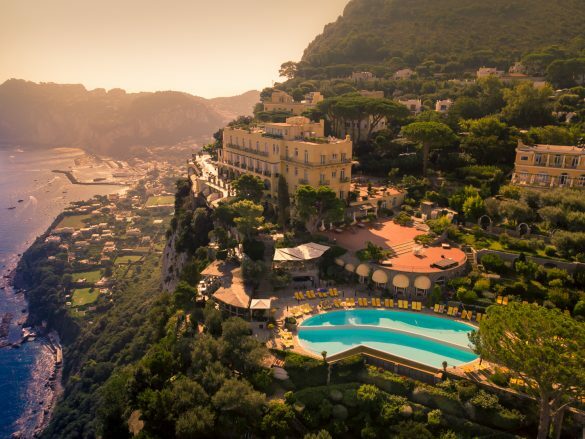 Perched 300 meters (about 984 feet) above the sea on a cliff, Hotel Caesar Augustus has the most incredible panoramic views. 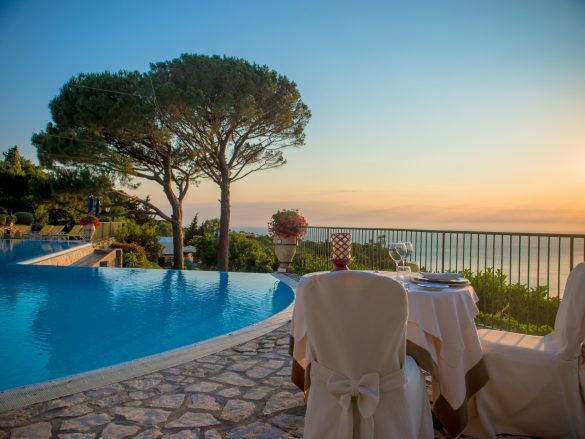 Whether you’re enjoying dinner at La Terrazza di Lucullo or taking a dip in the hotel’s infinity pool, you’ll feel like you’re in a postcard everywhere you go. 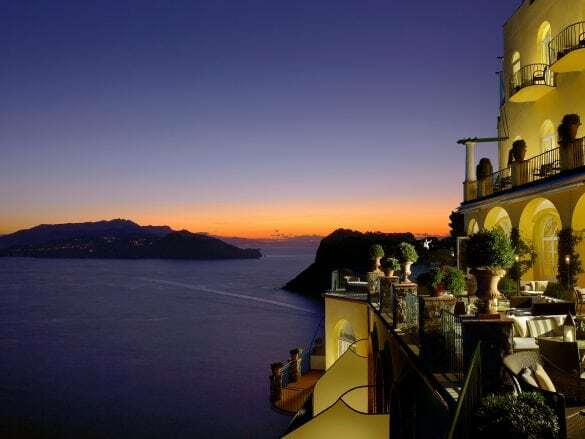 A private dinner on the Pensatoio, especially if you’re at the hotel with your sweetheart. Martha Gaughen says this is the most romantic dinner in all of Italy. 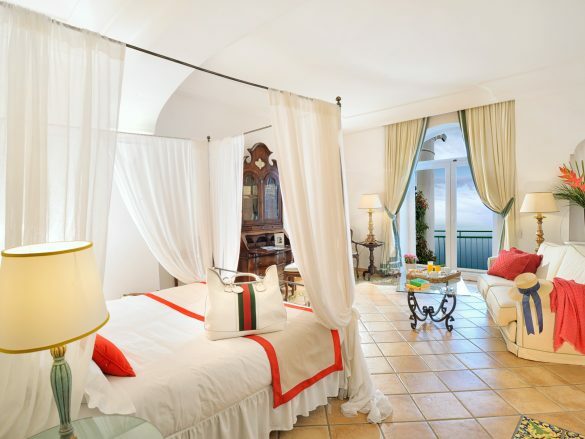 Hotel Casesar Augustus is a Relais & Chateaux property and has one main restaurant, La Terrazza di Lucullo. 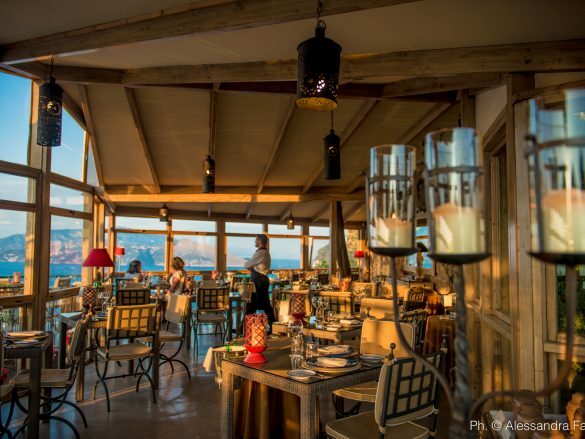 Here you can savor fresh, homemade Italian cuisine. 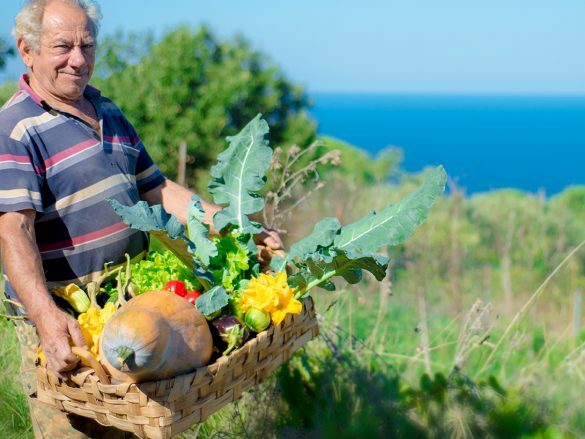 The ingredients are all locally sourced, and the hotel even has its own garden for herbs, fruits, and vegetables. 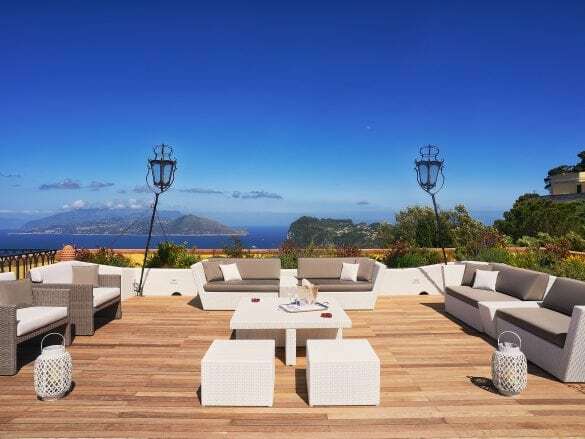 The hotel is located in Anacapri, the highest part of the island, so you have incredible views of Mount Vesuvius, the Amalfi Coast, and the Bay of Naples. From Hotel Caesar Augustus, you can take a short, 15-minute walk to the town and explore the charming shops and restaurants. 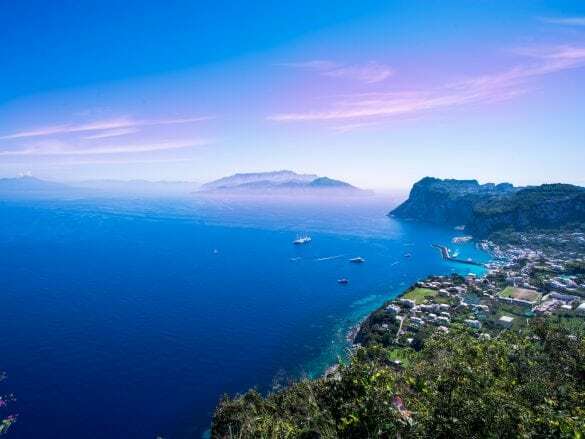 If you want to go to the town of Capri, you can take a cab or the local bus. Fly into the Naples Capodichino airport (NAP) and then take a taxi or private car to the Beverello port (it takes about 20 minutes). If you’re arriving by train, you can also take a cab to the port. 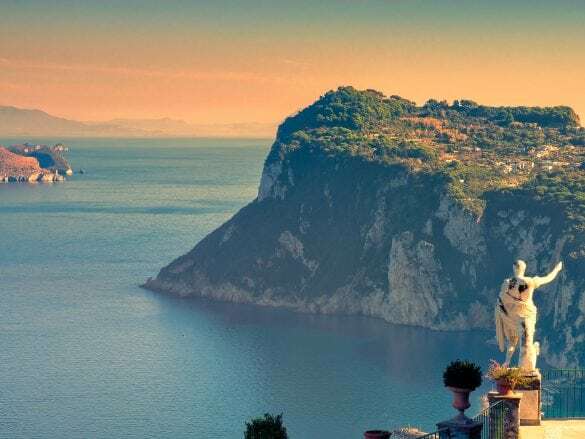 From the port, you can take a hydrofoil to Capri. 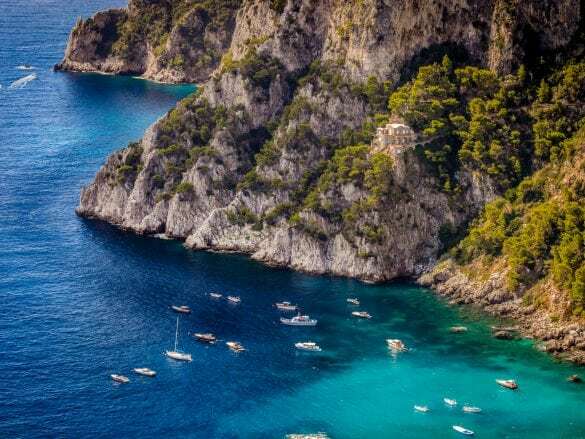 It takes about 45 minutes, and during high season there are frequent hydrofoils traveling to Capri from Naples. 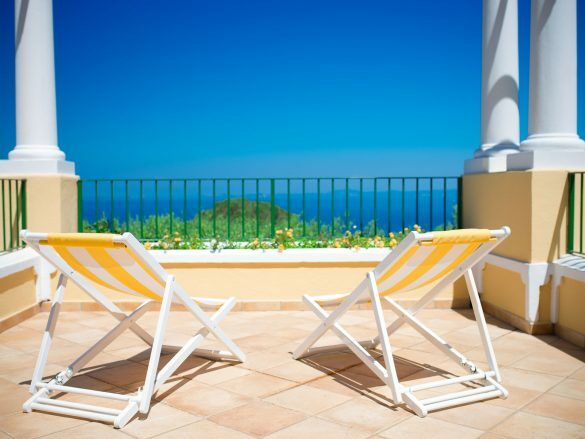 Once you arrive in Capri, the hotel will meet you and get you to the property via private transfer. Your Brownell advisor can also arrange a private boat or helicopter transfer. 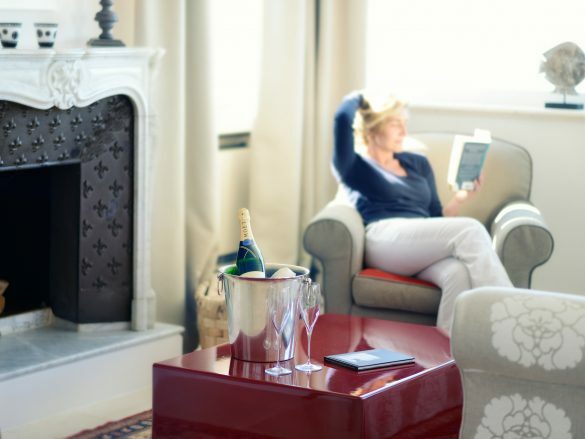 Euro 50 F&B credit to be spent at the hotel restaurant (valid at dinner only) & Euro 50 wellness credit (massages or treatments-no products) No cash value if not redeemed.